Suitable for use with all products : Ego products, Itaste VV, Itaste MVP, Evic, Imotion and so on..
Boss, this carto replacement got stock or not? 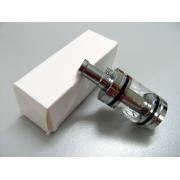 Also, does this come with the 2nd screw at the bottom that holds and prevents the carto from backing out from the tank? Administratoryes got stock. and yes, come with 2nd screw for lock the carto. 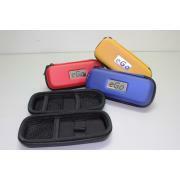 1. can use with my ego-C battery or not? 2. can fit with the ego cone onto my ego-C battery or not? To look better la. Administratoryes sir, can use with ego-C battery. yeah, can use ego-cone to make it look nice. for the cobra is using the mesh, cant replace by the wick rite, so the one that can replace the wire and wick is Era clone or V5 Nimbus, both of this is the dripping tanks need to refill every time to vape (PS:I Quite Lazy >///< ) ok and both Era clone or V5 Nimbus also suitable for Lava Tube rite. Administratoryes sir, right. 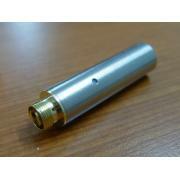 Era clone(1.9ohm) can direct use, V5 nimbus(1.0ohm) need recoil before use with lavatube. 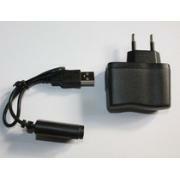 because Lavatube must use with tank > 1.2ohm. 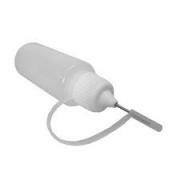 is it the carto replaceable just change the Silica Wick only but cant change any of the wire? and the rebuildable can change the Silica Wick and the wire ? Administratorcarto replaceble means cannot change coil and wick, but change whole carto (the whole thing of center rod inside X8). And yes rebuildable can change both wick and kanthal wire. 1. 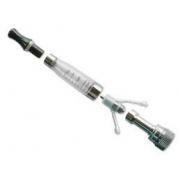 This X8 Atomizer can fit in to the lava tube? 2. 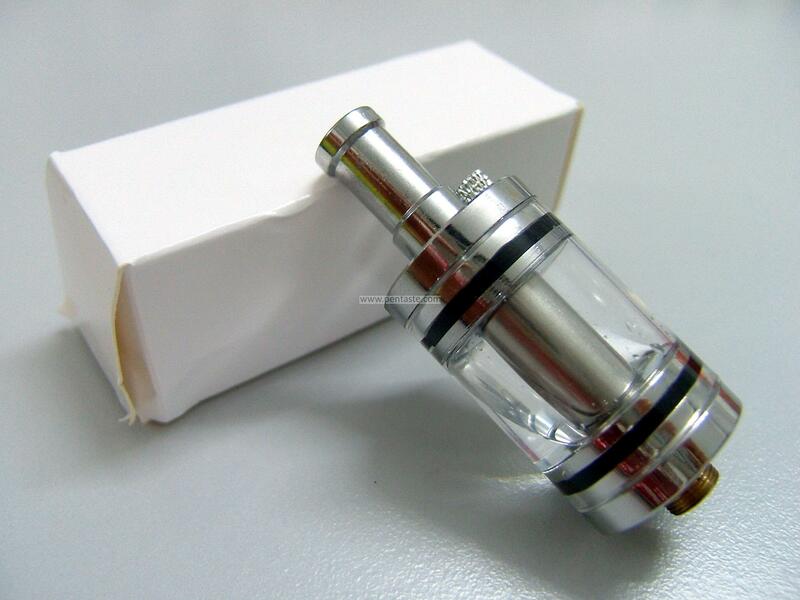 Is this X8 Atomizer rebuildable? 3. If rebuildable the Kanthal A1 Wire 0.2mm and Silica Wick 2mm that you sale can be use to rebuild it or any other options please advice. 4. OK if I order one unit X8 Atomizer one Kanthal A1 Wire 0.2mm, one Silica Wick 2mm, and one bottle of Tastemore 20ml 12mg/Menthol E-Liquid all togather is it free shipping? 2. No, it is carto replaceble. 3. Kanthal and wick i sell can use for most of rebuildable tank. 4. yes if combine liquid, then free shipping. if you want rebuildable, can consider cobra tank, Era clone or V5 Nimbus. 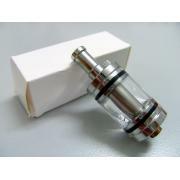 Boss.. dalam banyak-banyak atomizer yang mana 1 boleh hasilkan banyak vapor.. please recommend to me..
is this suitable for private v.2 mod? x8 yang saya pakai very good pula...cuba cabut drip tip dia dan isi sikit liquid di dalam coil untuk hilangkan bauh hangus,set voltage 3.5,masa vaping jangan lebih dari 5saat,kalau tak mau bauh hangus cuba campurkan sikit perisa menthor..
Dah angkat sebjik x8 nie. Bila letak liquid separuh, dia leak and taste tak seberapa. Letak voltage tinggi dia ada burn taste then burn taste tue takmo hilang dah. Tak tau nak buat aper dah. Nak angkat conra plak pas nie.